He sleeps in late. He grunts in replies to most questions. He rarely has his nose out of his phone. And he has to be bribed to shower. He is THE TEENAGE SON. Despite his ability to push you to your limits, you love him to the moon and back. So when it comes time to buy him something—whether it’s for his birthday, graduation, or just because—you don’t want to phone it in. If you need some present inspo, we can help. Read on for six gift ideas for your teenage son. Parent guilt is real and many of us often wish that we could spend less time at work and more time at home. Your kids most likely feel the same way, so giving your child the gift of time is better than anything else … yes, even for your sometimes-grouchy teen son. Think of something he’s wanted to do for a while—whether it’s go to a professional baseball game, ride the roller coasters at an amusement park, or go bowling—and line this up as a surprise. Between him getting some much needed parent time and doing something he loves, this will be a birthday gift he’ll surely talk about for years to come. Although it might pain you to encourage more technology, you know your gift is going to be a hit if it falls in this genre. 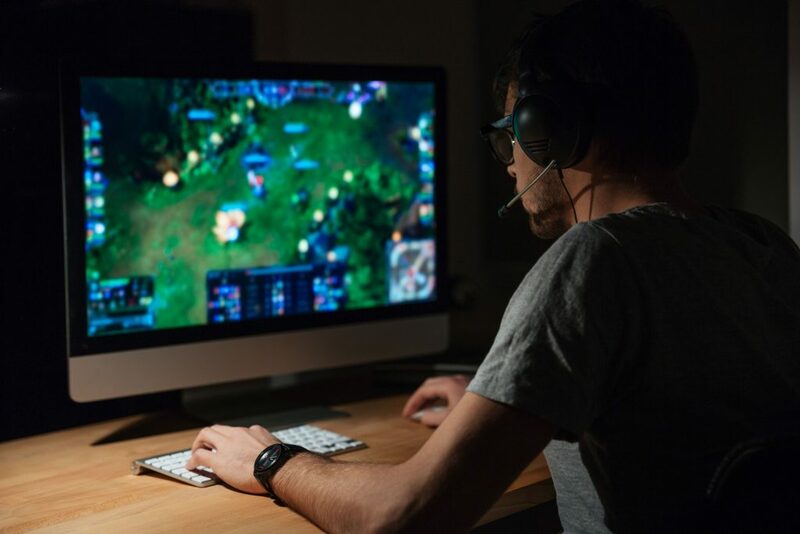 From ultra-cool gaming laptops and virtual reality headsets to an upgraded phone or a new tablet, the video gaming and technological possibilities are seemingly endless. A Polaroid camera is another option that falls under this umbrella, as teens are known for their need for instant gratification. Just make sure to have some rules around dinner time so you can actually, you know, see his face every once in a while. Whether your teenage son is the next Robert Plant-in-the-making or he’s never taken a single lesson, chances are he loves music. Foster this interest by getting him some (more) lessons, an instrument he’s been eyeing, or tickets to the symphony or a concert. Music is such an important part of life and, believe it or not, with learning, so you could be teaching him something without him even realizing it. Don’t worry, though, your secret is safe with us. Sneakers are not only something your teen boy needs for sports he might play, but they’re also having a fashion moment. It’s hard to go wrong. Buy him an athletic pair for his hoops games, Chuck Taylor Converse low tops for lounging, or a cool pair of slip-ons for the mornings you’re inevitably running late. This is a gift that won’t gather dust, as guys and their sneaks go together like peanut butter and jelly. Just make sure to grab some air fresheners for them because, well, teen boys. If you’ve ever asked your teen to dress up for a graduation, wedding, or other formal event, you know that this is not their jam. So when it comes time to get them something you know they’ll love, go for comfort. Teen boys can never have enough tees and sweatshirts. It’s a win/win; as you know it drives you nuts to see him in his favorite holey t-shirts that he refuses to part with like a newborn giving up his pacifier. Get him a new tee and perhaps he won’t notice when some of his well-loved ones suddenly go missing. You both can enjoy a good laugh when he opens this one, as many teen boys are notoriously late for, well, everything. Of course, he can use his phone to tell time but it won’t look as cool as one of the many fashionable timepieces on the market these days. Whether it’s one for the true teen outdoorsman, strictly a time-telling piece, or stainless steel for the ultimate fashion statement, a watch could even garner you a … wait for it … genuine smile. The teenage son might seem impossible to buy for, as he tends to keep his interests close to the vest. Choose something from this list, however, and we can all but guarantee you a spot on the cool parent list.